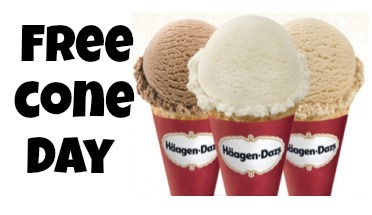 Mark your calendars to visit a local Haagen-Dazs shop for FREE Cone Day on 5/13! Haagen-Dazs will be offering FREE single scoop ice cream cones. This is only from 4-8 pm in participating stores. The lines tend to get fairly long for these events, but in the end it’s always worth it! My favorite flavor is the Belgian Chocolate! What’s yours?